Indian Air Force IAF is going to conduct the AFCAT 2 2018 Exam for graduates and postgraduates in Aug 2018. The candidates who want to apply for AFACT 2 2018 should be physically fit at the time of initial and medical Examination. If you are applying for AFCAT, make sure you are meeting eligibility requirements as mentioned in the official notification of AFCAT. AFACT 2 2018 Physical Fitness rules are set by the IAF In which all the clause related to height weight and visual standard. Below you will find all the details about the Physical and Medical standards specified for different types of branches offered through AFCAT. Through AFCAT entry aspirants can join flying, technical or GDOC branch of Indian Air Force. All three have slightly different physical standard requirements. In the AFCAT Selection Process, candidates have to take up the second round of AFCAT which is also called Physical Standard Test(PST). Once you clear this evaluation process, you will get call for another round which is SSB, post which there is medical examination in specified hospitals. NOTE: There are no Chest criteria in AFCAT. Weight: Weight and height should be proportionate. Leg Length: Min – 99 cms. Max – 120 cms. Thigh Length: Max – 64 cms. Sitting Height: Min – 81.5 cms. Max – 96 cms. LASIK Surgery should not have been carried out before the age of 20 years. The axial length of the eye should not be more than 25.5 mm as measured by OLmaster. At least twelve months should have lapsed post uncomplicated stable LASIK. No history or evidence of any complication. The post LASIKcorneal thickness as measured by a corneal pachymeter should not be less than 450 microns. Individuals with high refractive errors (>6D) prior to LASIK are to be excluded. Candidates must not suffer from colour or night blindness. All other medical criteria would be evaluated by the Air Force Medical Authorities whose decision on the fitness would be final. 20 to 24 years as on 01 Jul 2018 i.e. born between 02 Jul 1994 to 01 Jul 1998. (both dates inclusive). Upper age limit for candidates holding valid and current Commercial Pilot Licence issued by DGCA (India) is relaxable up to 26 years i.e. born between 02 Jul 1992 to 01 Jul 1998 (both dates inclusive). Height relaxation:For Gorkhas and individual belonging to hills of North-Eastern region of India, Garhwali and Kumaon, the minimum acceptable height is 5 cms less. In case of candidates from Lakshadweep, the minimum acceptable height is less by 2 cms. For the fitness criteria, the report of the Air Force Medical Authorities is considered as final. Minimum Visual Acuity6/6 in one eye and 6/9 in other, correctable to 6/6 only for hypermetropia. At least twelve months should have lapsed post uncomplicate stable LASIK. No history or evidence of any complication. Please note that AFCAT Physical Standards for men and women is same/different and applicable for both men and women. For flying branch criteria standards are same for both men and women. Minimum Visual Acuity 6/6 in one eye and 6/9 in other, correctable to 6/6 only for hypermetropia. The postLASIK corneal thickness as measured by a corneal pachymeter should not be less than 450 microns. All other medical criteria is evaluated by the Air Force Medical Authorities whose decision on the fitness is considered as final. 20 to 26 years as on 01 Jul 2018 i.e. born between 02 Jul 1992 to 01 Jul 1998 (both dates inclusive). Weight: Weight and height should be proportionate to each other. Height relaxation:For Gorkhas and individual belonging to hills of North-Eastern region of India, Garhwali and Kumaon, the minimum acceptable height will be 5 cms less. In case of candidates from Lakshadweep, the minimum acceptable height will be by 2 cms less. The decision of the Air Force Medical Authorities is final and applicable for eliminations. If you are applying for the Flying Branch, you must remember that apart from the general physical standards, there are some standards that are specifically applicable to you. Listed below are the medical requirements applicable to both men and women applying to the Flying Branch. Osteoarthrosis, Spondylosis and Degenerative joint disease. Non-articular rheumatism ( e.g lesions of the rotator cuff, tennis elbow, recurrent lumbago etc). Misc disorders including SLE, Polymyositis and Vasculitis. Loss of cervical lordosis when associated with clinically restricted movements of cervical spine. Unilateral / bilateral cervical ribs with demonstrable neurological or circulatory deficit. Any other abnormality as so considered by the specialist. Bilateral complete sacralisation of LV5 and bilateral complete lumbarisation of SV1. Spina bifida in sacrum and in LV5, if completely sacralised. Presence of Schmorl’s node at more than one level. Atlanto occipital and atlanto-axial anomalies. Hemi Vertebra and / or incomplete block (fused) vertebra at more than one level in cervical or dorsal spine. Unilateral sacralisation or lumbarisation (complete or incomplete) at all levels and bilateral in complete sacralisation or lumbrarisation. Hope this helps you to get more clarity on the AFCAT Physical and medical standards for men and women. 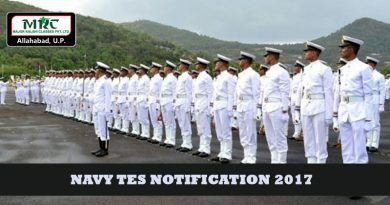 How to prepare for CAPF? Copyright © 2019-20 Major Kalshi Classes. All rights reserved. 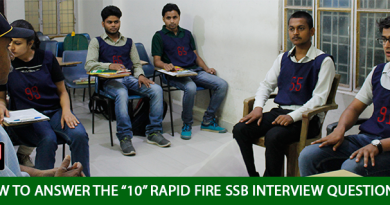 We Will post your story on our blog in SSB Interview Experience tab. You have submitted your information succcesfully……..
Kindly fill below information to download answer. It will take hardly few seconds.